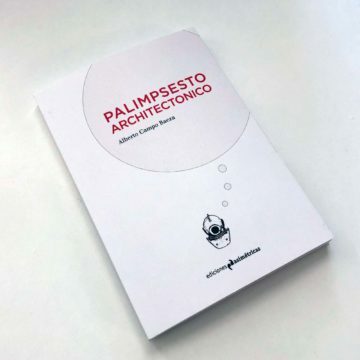 A small book of Asymmetric Editions with Alberto Campo Baeza’s most recent texts, entitled ARCHITECTURAL PALIMPSEST, has just been published. A palimpsest is a document that is written over another previously written on the same paper which has been erased, to permit rewriting. It is a way of economizing material, what we now call recycling. In the Introduction, Campo Baeza explains: “More than once, a friend of mine has commented that sometimes the same subjects or part of them appear repeated in my writings. 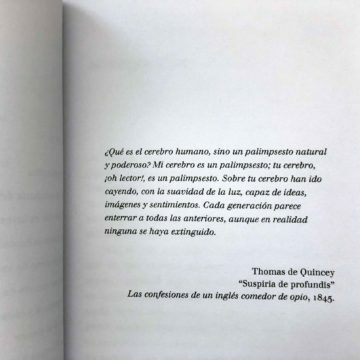 While there may be some truth to what he says, let us say that it would be schizophrenic never to repeat anything, especially if you write a lot. On the other hand, when I repeat a subject, it’s because I think it’s important, or because it is relevant in that new writing. Can this not be understood as a kind of palimpsest? With good reason, the well-known British romantic writer, Thomas de Quincey*, actually defines the human brain as a mighty palimpsest. 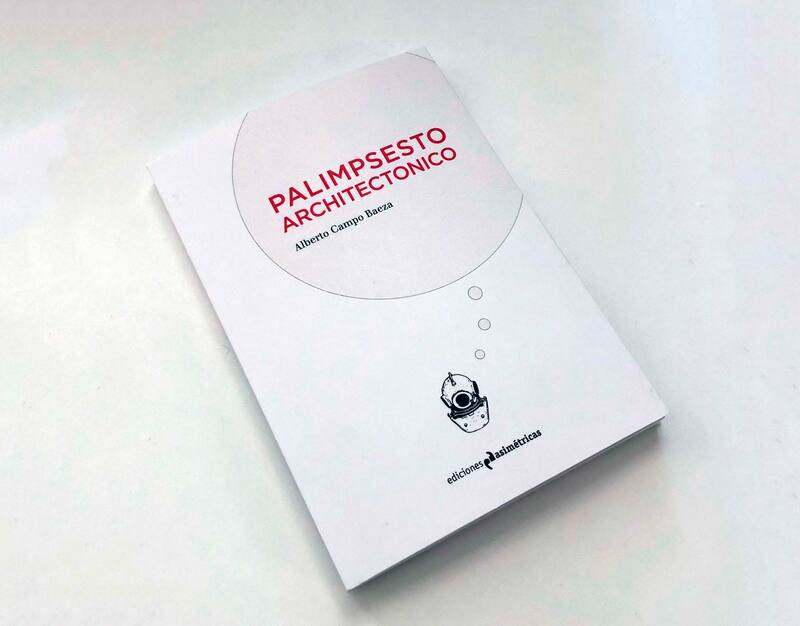 Hence the decision to give this book the title Architectural Palimpsest. 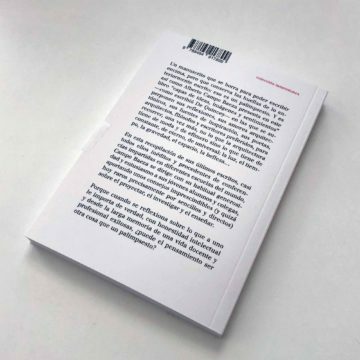 Let us hope that this book, like the previous one by its author, CRITICAL WRITINGS, also edited by Ediciones Asimétricas, will be sold out in a very short space of time.